Sometimes it’s fun to be a tourist in your own city. Sure, we don’t technically live in Barcelona, but I feel like we are there all the time. I don’t know the city like the back of my hand, but I feel like I know it well enough. After all, we only live 38 minutes north by train in Girona Spain. So when the Food Lovers Company invited us to test out their Barcelona Food Tour, I was a little hesitant. Being almost a local, I wondered if it would be worthwhile to take a food tour of Spanish food, practically in our own backyard. But, in the end, I’m convinced it was one of the best Barcelona tours that focus on food. Why Take a Barcelona City Tour? Barcelona is a big and bustling city, and one of the most popular tourist destinations in Europe. It’s so popular that there is almost too much Barcelona tourist information out there. It can kind of be overwhelming, particularly for first-time travelers to Barcelona. To make the most of a visit to Barcelona, taking a city tour can help. Sure, it’s possible to take a free walking tour of Barcelona. And sometimes a free walking tour of a city is a great way to get an overview of the city. But, it doesn’t help you learn about the food, which is at the heart of a city like Barcelona. A Barcelona food tour can be the perfect way to learn about the food, the city, and the architecture of the city. In Barcelona, that means walking through neighborhoods and witnessing Gaudi-style buildings and architecture. Why Book a Barcelona Food Tour? I always recommend that food lovers take a food tour when visiting a new city. This is especially true in Barcelona, which can be a little bit of an intimidating city to a food traveler. In some of the most popular areas for travelers to visit in Barcelona, many of the restaurants are what I would call touristy. A Barcelona food tour can help food travelers learn more about the city than what you see on the typical Barcelona tourist map. It can help guide travelers on what and where to eat in Barcelona. Spain has a diverse cuisine, and many of its best dishes are unfamiliar to tourists. And, it’s a good idea to take a walking tour. Barcelona is big and busy. A Barcelona local tour that focuses on food and drink can help to dive deeper into the local food culture. It’s the best of both worlds! That said, we are not typical tourists when it comes to Barcelona. I do consider ourselves somewhat “local” so I would not normally book any Barcelona day tours. I live just up the road in Girona. We are on the train to Barcelona regularly. I will say, I was more than a little nervous taking “just another Barcelona tapas tour.” I knew I would be disappointed if they tried to offer us plates of jamon and patatas bravas. I wanted something more than can be found on a top tapas list for Barcelona. In the end, our Barcelona tourist guide, Nuria, was knowledgeable and helpful. We started the tour in Barceloneta, one of the most typical old neighborhoods in Barcelona, near the harbor. It was the perfect place to start a food and wine tour. Barcelona tourists often end up wandering this neighborhood. And, it’s close to our favorite cava bar, La Champagneria. From there, we walked about 6 kilometers (a little less than 4 miles), through several other neighborhoods. And we ate, a lot, all along the way. But, we ate so much more than jamon and patatas bravas on our tapas tour. Barcelona is an international city, and there are residents who originally came from all over Spain. Nuria included. So, this tour focused not just on typical Catalan cuisine, but on Spanish regional specialties from all corners of the country. Yes, we tried Barcelona local food, typical of Catalonia. This included anchovies, olives, pan con tomate (or bread with tomato), and Catalan botifarra sausage. We also had bread with some of the most amazing fresh aioli we’ve had, a creamy mixture of olive oil and garlic. And, we tried some typical Catalan seafood dishes, including fried boquerones, mussels, and calamar a la plancha. But, we also tried some unique dishes, including cured tuna carpaccio called mojama. We ate Catalan Santa Pau white beans but served with a fresh chorizo sausage called chistorra, which is from Asturias, in the north of Spain. And, garbanzo beans served with murcia, a sausage made with cinnamon, well known in Northern Spain. It was also artichoke season, and our first stop greeted us with mountains of grilled artichokes topped with paprika. And, yes, we ate this, and even more during our 4 hour tour. This tour left two professional eaters utterly stuffed. Duration of the Barcelona Food Tour: About 4 hours, and it covers almost 4 miles! Wear comfortable walking shoes. The Food Lovers Company also offers Barcelona private tours, focused on food and wine, if you want a more customized experience. I can’t say for sure that the Food Lovers Company is one of the best Barcelona guided tours, as we’ve only taken two. But, coming in as relative Catalan food experts, and one who is writing a book about Catalan cuisine, I would have to say that it was pleasantly surprising. It has to be one of the best tours in Barcelona if you are looking for a good Barcelona food experience. It would also be a great outing or excursion if stopping in Barcelona on a Mediterranean cruise. The Food Lovers Company hosted us on their Barcelona Food Tour, but all opinions are my own. I was entirely surprised at the number of unique dishes we tried on this tour! Where can I get more information about Barcelona local food? Check out our Spain food travel guide, including our Barcelona Food Guide. 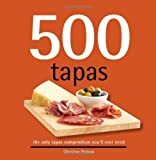 Where can I find a Barcelona restaurant guide? Check out these TripAdvisor reviews for the top restaurants in Barcelona, but also, check out one of our favorite higher-end Barcelona tapas restaurants, Bodega 1900. How can I learn more about the Food Lovers Company? Check out these Barcelona food tours TripAdvisor reviews for the Food Lovers Company.